It is a pleasure to let you know that my photograph below has been awarded 3rd place – FZC Bronze Medal – in Narava International Contest of Photography 2014. In this year´s competition totally 663 photographers from 63 countries participated with the total number of 6,800 images. This was my first attempt in this contest. 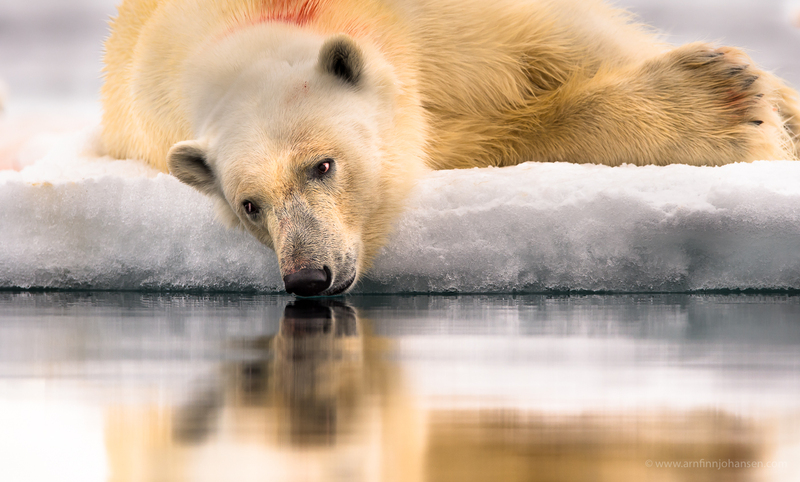 The image of the mindful Polar Bear is taken on Svalbard summer 2014. Thanks to WildPhoto Travel for yet another great Svalbard trip tailor made for nature and wildlife photographers. More images from this year´s summer trip to Svalbard can be seen here. Feel free to leave your comments below if you like and follow my work on Facebook as well. FZC Bronze Medal at Narava International Contest of Photography 2014. Dette var et sabla kult bilde Arnfinn, gratulerer igjen! Gratulerer – dette fortjente både kongemotivet og fotografen! Veldig bra, Arnfinn! Gratulerer igjen (det begynner å bli en vane:)). Nydelig Arnfinn. Gratulerer med ennå en fjær i hatten !!! Well done Arnfinn and congrats with your bronze medal. Nice portrait of a stunning animal ! Gratulerer Arnfinn. Alltid hyggelig å følge med på bildene dine, du gjør noe magisk. Det er bare å gratulere, enda en gang! Kreativt og ikke minst poetisk portrett!